Integration with services such as IFTTT.com open up the doors of possibilities. The Nest Learning Thermostat combined with IFTTT (if this, then that) enables some awesome features for automating your home. The basic idea is if a certain thing happens, then do a certain thing. The controlling factors can be: GPS Location, leaving or arriving at a location, weather data, changes detected by the Nest Thermostat sensors, time, and also other recipes triggered by other things so the combinations are truly endless. Some examples include: Receive notification alerts when the temperature inside changes. If the temperature outside rises above or drops below a set degree then change the Nest Thermostat to a set degree. 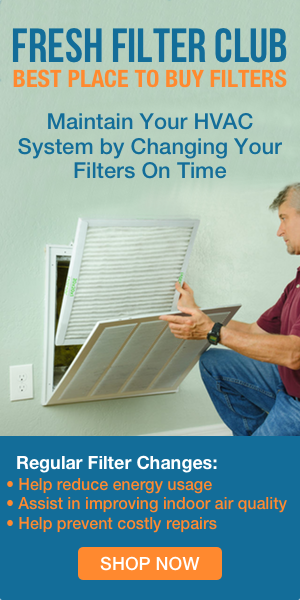 Turn the fan on at a certain time of day, when you leave or arrive at a certain place. Using location to automate the wifi thermostat can take the hassle out of creating a heating and cooling schedule with the thermostat. When you head home from work, a date night or from vacation, you can be assured your home will be to your liking upon entry. The same goes for leaving the house. It’s hard enough to remember my wallet so what’s the odds of me making a stop by the thermostat. Schedules tend to deviate for many unplanned reasons. Even for planned events such as vacations, it’s easy to forget to adjust the thermostat schedule to account for the time away. Additionally, the process of setting the initial schedule is usually long forgotten and directions are required for how to make changes. Now that IFTTT has added the Nest Channel, I’m excited to see what kind of recipes people create. 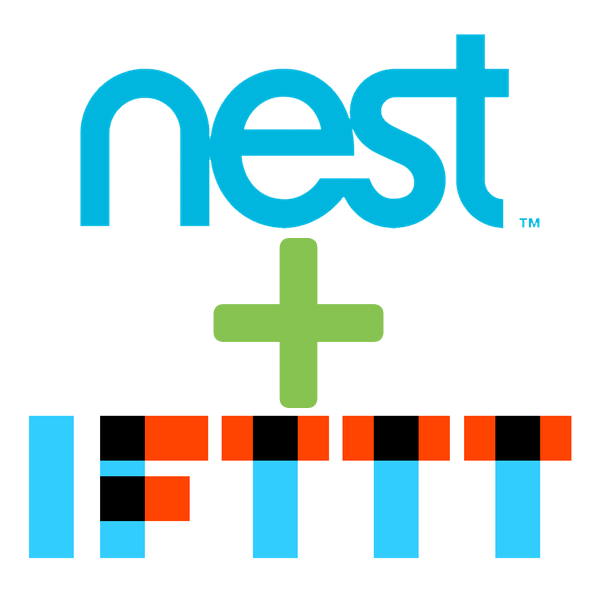 If home automation is something that interests you, check out IFTTT.com and see what the fuss is about. 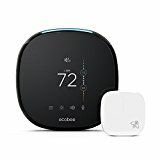 If you still need a Nest Thermostat, consider using my Amazon.com affiliate link to help support this site. The Honeywell Lyric app takes advantage of the iPhone or Android GPS to provide built-in location automation of home comfort. Multiple locations can be set such as work, home and vacation home. 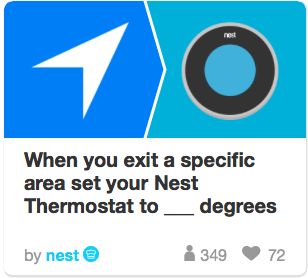 I would imagine Nest adding this feature at some point for users that are not familiar with IFTTT. Every wifi thermostat on the market comes with an app that acts as carrying the thermostat in your pocket. If automating is not your cup of tea, installing a basic wifi thermostat such as the $100 Honeywell Wifi Programmable.